Texas High Plains Writers began in 1920 as Panhandle Pen Women. Founded by Laura V. Hamner, she is hailed as the group’s first historian. As a twenty-year-old, fresh out of Peabody College in Nashville, she stepped down from the train in Claude, Texas, one day in 1891. Simply eager to see her parents and her sister, she had no notion that before she died she would exert her influence on the cultural awareness of Panhandle people as few others have done. 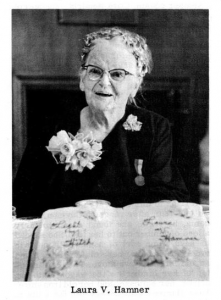 Miss Hamner wrote and recorded at least 430 “Light N Hitch” radio programs on KGNC, in Amarillo, Texas, telling the stories of the Panhandle pioneers. And she wrote two columns for the Amarillo News-Globe—Talk to Teens and Spinster on the Prowl—for about thirty years. She served as Panhandle Pen Women’s president four times, 1921-1922, 1931, 1941, and finally in 1950. 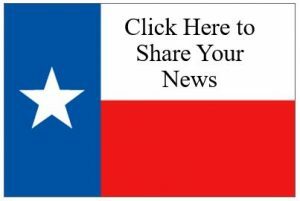 She received many honors — culminating with the Texas Heritage Foundation National Medal presented at a Panhandle Pen Women meeting on her 92nd birthday. She died in 1968 at age ninety-seven. Miss Hamner has been memorialized in a mini-opera, Laura V, written by Gene Murray, under the auspices of the Amarillo Opera. A number of grateful modern-day PPW members were in the audience for the premiere production at the Gem Theater in Claude, TX, in June 1998. Amarillo, incorporated in 1899, is younger than any of the fifty largest cities in the continental United States. Yet Panhandle Professional Writers, a still-growing organization based here, is one of the oldest continuously run groups of its kind in the country. In the early years, Panhandle Pen Women meetings, in members’ homes, were quite the hoity-toity social occasions. Many members came by train and stayed in hotels. Sixty years later, times had changed. Most women writers now also held down other jobs. 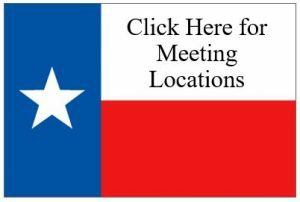 In January 1983, the Panhandle Professional Writers membership approved a change in meeting dates from Tuesdays to Saturdays — and right away our attendance increased. At the regular meeting in September 1987, members approved the bylaws change to “Panhandle Professional Writers, originally Panhandle Pen Women.” Our male membership has steadily increased, much to our benefit. We pride ourselves on our diversity. In 2015, in an effort to position the group as an aid to both professional and beginning writers, another name change was proposed. The board decided to drop Professional from the name and settled on the new name of Texas High Plains Writers. 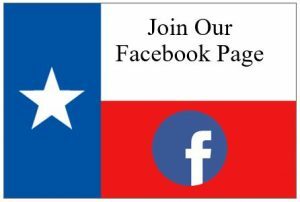 In the spirit of our new name, we seek to promote writing and support writers all across the Texas Panhandle and surrounding areas.